On Wednesday, September 23, Pope Francis, the 266th pontiff to head the Roman Catholic Church, will meet with Barack Hussein Obama at the White House in Washington DC. For practitioners of Judaism, September 23 is Yom Kippur or the Day of Atonement, the most important day in the Jewish calendar. It is the holiest, most solemn religious fast day of the year. In biblical times, only on Yom Kippur could the high priest enter the Holy of Holies in the Temple to make atonement for the sins of the whole nation of Israel in one day (Leviticus 16). But for Christendom and the Western World, which adopted Pope Gregory XIII’s 1582 Gregorian calendar, September 23 is the 266th day of the year, which incidentally is the same number of days it takes a woman to give birth to a child from the moment of conception. 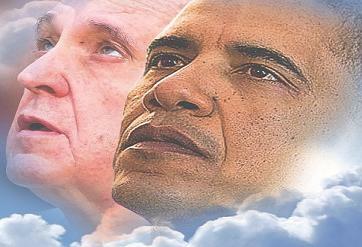 On Thursday, September 24, the Roman pontiff will give a historic address before a joint session of the U.S. Congress. Then on the second leg of his US trip, September 25, the Pope will travel to New York City to speak before the United Nations General Assembly. After his speech, the General Assembly will convene a high-level plenary meeting to adopt a new sustainable development agenda, which was mandated by the General Assembly September 2013 (Resolution 68/6). The UN’s new sustainable development agenda, also known as the 2030 Agenda, will replace Agenda 21, the UN’s sustainable development action plan adopted at the Earth Summit in Rio de Janeiro, Brazil, in 1992. Unlike Agenda 21, which primarily focused on the environment, “this new universal Agenda” for humanity and the planet is a blueprint to “realize the human rights of all … achieve gender equality and the empowerment of all women … and balance the three dimensions of sustainable development: the economic, social and environmental.” In other words, the 2030 Agenda is the UN template for a world government. [The 2030 Agenda for Sustainable Development] “can help realize the… dream of a world of peace and dignity for all. Today is the start of a new era. We have traveled a long way together to reach this turning point,” said Ban Ki-moon, Secretary-General of the United Nations. To recap, the 266th pope will meet Hussein I (peace be upon him) on the Day of Atonement, the 266th day of the year, which is the day before the pope’s historic address to Congress, and two days before he addresses the UN General Assembly and the announced birth of the one-world government. At first blush it appears that Hussein I (peace be upon him) will be a bit player overshadowed by numerical coincidences, a historic, precedent-setting visit to Congress, and an unveiled blueprint for a new world order. But once the inexplicable lottery drawing that happened in Obama’s home state the day after he won the presidency in 2008 is taken into account, his role becomes evident. On November 5, 2008, the Illinois daily lottery numbers were 666 for the pick three and 7779 for the pick four evening numbers. In biblical numerology, i.e., the study of numbers in the Bible, 666 is the number commonly associated with the man of sin or the Antichrist alluded to in 2 Thessalonians chapter 2 and the beast and the mark of the beast mentioned in Revelation chapter 13. The number 7 signifies completion or perfection, and the number 9 signifies divine finality or judgment. The odds of these two sets of numbers being randomly drawn in Obama’s home state on the same day the day after his election is more than a 1/3,650,000,000 probability, which means it’s a statistical impossibility. One could rightly conclude that either the Illinois lottery was rigged, or God has sent a sign to His people concerning the identity of Antichrist, the end of the age, and coming judgment. There you have it; now do with it what you will.